What difference does the resurrection of Jesus Christ make in your life? What difference does it make in a family and in a country? Christ’s resurrection certainly gives us perspective and hope. It reminds us that we too can have victory over death and the grave through Jesus, and our only hope for eternity is found in faith and trust in Jesus and His finished work on the cross. 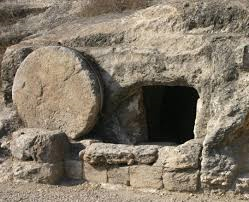 Our hope finds new joy and anticipation as we too consider the empty tomb. Our Savior is not dead, but rather He is alive. This reality should change the way we live and respond to people and circumstances. It reminds us that we live for eternity and not just for time. It calls us to order our lives according to the teaching of God’s Word and show the world how the resurrection changes our character, our relationships, and how we treat those whom we do not even know. The resurrection creates a bond between believers throughout the world and helps us to better understand the broad concept of family. The Christian family is a global unit, and therefore when one Christian is hurting in Iraq, Christians across the world feel his sorrow. This means we cannot ignore the persecution of Christians regardless of where they live. We share a common faith with Christians everywhere, and therefore it is our responsibility to pray for our brothers and sisters and to do everything in our power to help relieve their struggles. This means writing to our political leaders to express our views and concerns, supporting relief organizations that are reaching out to the persecuted, and praying for Christians who are living daily under the threat of persecution. I recently listened to David Cameron, the Prime Minister of Great Britain as he shared an Easter message. I encourage you to listen to it. He underscored the role of a Christian nation in reaching out to the down trodden, the persecuted, and the abused. It was refreshing to hear him refer to Great Britain as a Christian nation, and it made me long to see our own nation embrace our Christian heritage. We can expect increased persecution of Christians in the next years, and it is paramount that we pray for our brothers and sisters and support them in any way possible. As we mentally gather at the empty tomb to see that Jesus has indeed risen, we will look around and discover that we share this wonder and awe as well as responsibility with Christians everywhere. Regardless of denominational title or geographical location, we are family together because the tomb is empty. May the death and resurrection of Jesus continue to impact our choices and actions as we live in light of the resurrection of Jesus. This entry was posted in Life, Ministry, Persecution, Prayer, United States by timriordan. Bookmark the permalink. If the resurrection has not already affected my life this morning I would have need to wonder about my salvation. May I never live a single moment without the impact of the cross and resurrection on my life! I too was encouraged by David Cameron’s message and I agree with your words, “and it made me long to see our own nation embrace our Christian heritage.” I continue to hope that the “silent majority” is still the majority and it will decide to act while it is still the majority. So good. It is so easy for us to pass through a day without even thinking about the resurrection. To forget the power that raised us from the dead. It is also easy to forget those facing very very serious trials of all kinds across seas. Yes, we must remember the resurrection, and yes, we must always be in prayer for our brothers and sisters. Thank you for keeping our focus. Thank you for remembering the persecuted Christians as we look to the resurrection of Jesus Christ. If it were not for their belief in the resurrection; their beatings, tortures and deaths would be for naught. Would that we would be as steadfast in our faith as they. Knowing and believing in the resurrected Christ gives us hope in the rapture of His church and the second coming of our Lord. Come Lord Jesus.